profound that they enliven and enrich humanity . By profound, I mean here conveying the depth and range of the human experience: caring; sensual; ebullient, comic or philosophical . Out of the Matrix perhaps is the one that catches my breath the most... both for its political commentary and its lyric artistry. TES brings a rare gift to our world... a seldom seen merging of sensitivity and strength, expressed in words as well as music. No need for more ..Just please listen and decide for yourselves. DR. ED JOR-EL ELKIN, PH.D.
pop star, TES, delightfully takes the listener beyond political, religiuous, physical, mental and geographic boundariies to a place of oneness. Joined by an all-star cast of conscious music luminaries, including Human, Peter Temple's, Jazz virtuoso Dave Millard, and members of the Human Revolution, this deliciously eclectic collection of songs delivers its promise of "Stimulation, Provocation, Liberation and Celebration! 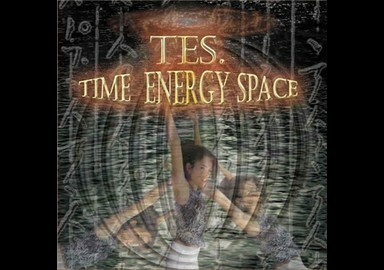 "Pop music flavors, rocking rhythyms, jazz overtones, world-music flavors and inspirational lyrical wizardry by TES result in a contemporary pop/world-music ministry that is uplifting and exuberant, intuitive and spiritual. Produced at Temple Studios in Mendocino and the Universal Temple of Higher Consciousness in Escondido. I have listened to Tes since she first began composing and recording her songs some years ago...Her writing and singing styles have evolved into a glorious rhythm and blues, pop danceable sound that provides strong evidence and support for the emergence of the New Paradigm of Healing and Prosperity for All Beings on Earth. Listen to this artist of the heartsoul sing her songs for you on the miraculous waves of cyberspace and dance your worries away...You will discover how to celebrate your weaknesses and sufferings in this fantastic way to transform your personal darkness into light...in a few moments of hearing the ecstatic voice of Tes Kempner... Enjoy some songs to lift you higher than you thought imaginable in the face of your despair! TES. sings songs of Stimulation, Provocation, Liberation & Celebration. A charismatic speaker, healer and visionary on a path of Destiny, She has written over eighty heart-opening songs, and was honored to have been invited to perform her original trance-hymn Peace... In the Middle East for 6000 Israeli and Palestinian women in Jerusalem. Deeply influenced by her heritage mandate to add beauty to the world, TES has emerged as a provocative Emissary for global peace, demonstrating the choice of living in blissful harmony here and now mesmerizing audiences with her captivating sound and powerful words. top music stars of the world stage. "Featuring the Best in Enlightainment"
What price do we pay?? The world is your country! Givin’ myself a brand new start… Startin’ a Brand New Day! I’m rather weary of other people tellin’ me how to live my life! It’s rather dreary – Oh say, Can You Hear Me? – Your status quo of strain & strife..
I’m Findin’ My Own Way! I let go what I think I know about anything at all! TO MY OLD ROOM WHERE WE ONCE PLAYED ALL DAY? You could choose me – for today! Where we could play today!! Hey, won’tcha come out and play???? Out of the Matrix. Into the Mind. Counter the clockwork. Seek to unwind. Find your true meaning. Know your True Name. Drop into Hu-man. Master The Game. See The Illusion. Laugh at The Joke! Clear the confusion. Time you awoke! YOU ARE THE ONE. THE SAVIOUR. THE CHOICE. CREATOR. DIRECTOR. THE VIEWER. 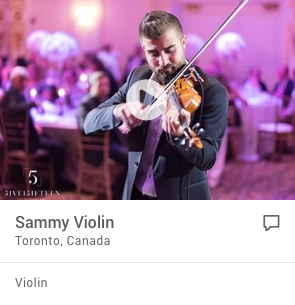 TH E VOICE. Merge with the Silence. Conquer your fear. Grasp what I’m saying… There’s Only One of Us Here! Picture your future. Challenge your fate. You are the Weaver… weave it your way! DO YOU STILL THINK ABOUT ME IN THE RAIN? DO THE MEMORIES OF YESTERYEAR REMAIN? DO YOU WONDER WHAT’S BECOME OF ME? GET LOST IN SOME SWEET REVERIE? REGRET THE DAY YOU SET ME FREE?? DO YOU STILL THINK ABOUT ME… IN THE RAIN? IN ME, ON ME, EVERYWHERE AROUND ME - I FEEL YOUR LOVE! WILL ME, THRILL ME, FILL ME TIL YOU STILL ME – I FEEL YOUR LOVE! You lift Me up and carry Me. You bring Me where…I’ve always dreamed I could be! You love me so (oh my, oh my! )… much more My God than all the money can buy! Out of time and out of space. Out of My mind and filled with Grace. I imagine I can see Your Face! I Feel Your Love… Feel Your Embrace! TAKE ME, MAKE ME, SHAKE ME TIL YOU WAKE ME – I FEEL YOUR LOVE! CHOOSE ME, USE ME, SHOCK ME AND AMUSE ME – I FEEL YOUR LOVE! I FEEL YOUR LOVE! I FEEL YOUR LOVE! I FEEL YOUR LOVE! I FEEL… YOUR LOVE! Find my own rhythm, just let go… ya know? ROCK YOUR CHAKRAS IN THE BAJA! HA HA! HA HA! Nature is present everywhere. God’s in the trees, the sea, the air. You are the One – the Moon and Sun… You are the Source… Of course! Hear what I say. Watch what I do. I’m gonna cast a spell on you! Look in my eyes. Don’t be afraid. Lead with your heart ‘n you’ve got it made! Manifestation’s the name of the game. Don’t heed the call, ya got no one to blame! Paradise Found is very near… Plan your escape and zap! - you’re here! Melt your troubles in the warmth of love. Life is so much simpler than you know. We are the One we’ve been waiting for. We’re the Messiah bangin’ at your door. I AM YOU. YOU ARE ME. WE ARE FAITH. WE ARE LIGHT. WE ARE PEACE. WE ARE LIFE. WE ARE MIND. WE ARE REAL. WE ARE TRUTH. WE ARE LOVE. WE ARE GOD. WE ARE NOW. The Spirit Moves. The Body Grooves. The Soul says “Yes!” to Fun! No, you can’t bring me down – I have shed enough tears! THE GOD I KNOW KNOWS MY LIFE ROCKS! What you think of me is none of my business – I am so connected to my Is-Ness!!! Who are you, Spirit? Who are you? Where would you lead me, Spirit, if I let you?? Your eyes…. I get lost in your eyes. No words to describe… you see. Love lies in Your Eyes. IT’S A BIG, BIG WORLD OUT THERE… WHAT IS YOUR ATTENTION ON?? There is much more good out here than we’ve been conscious of! For the thoughts we entertain, in truth, shall set us free! Somewhere in a world gone wrong, there’s a child of God who’s singin’ a song! When is it time to enjoy your life? When to release all the pain and strife? When to be other than mother and wife? WHEN IS IT TIME? IS IT TIME? When is it time to forgive the past? When to breathe free? Just to “be” at last? When do you stop always running so fast? You’ve paid your dues – ain’t it time now to choose – to live for the love of you? When is it time just to laugh and smile? When to indulge in your own sweet style? When to be happy? Relax for awhile? SOMEDAY IS HERE, MA! SOMEDAY IS NOW! LET GO YOUR FEAR, MA! I’LL SHOW YOU HOW! Raised in a society obsessed with notoriety. A picture of anxiety was me. So hypnotized to seize-the-prize, ambition blinding me… never free. Til one day I awoke to realize it was a joke – played upon the folk who could not see! I’VE ALREADY MADE IT! I’VE ALREADY WON! THE MOON AND THE STARS, AND THE EARTH AND THE SUN! THE MOON AND THE STARS, AND THE EARTH AND THE SUN..
Y esta mentira destinada y destruir el milagro regaldo por Dios! LA LUNA, ESTRELLAS, TIERRA Y SOL!